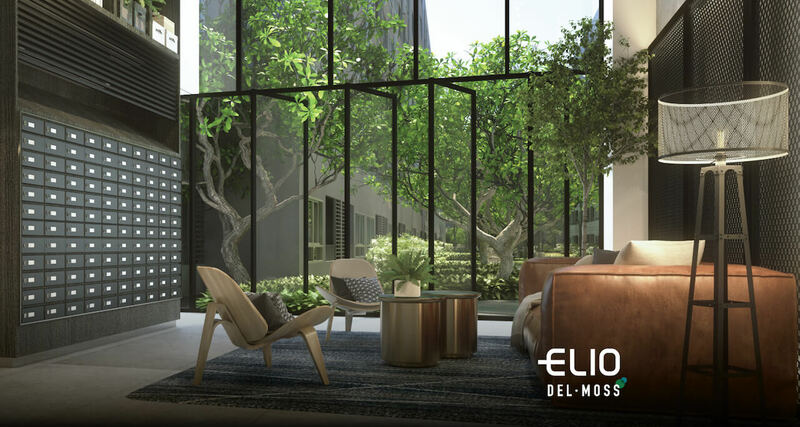 Elio Del Moss is a brand new launch by Bangkok's leading developer. This project is most notably positioned in an upcoming part of Bangkok where the Green Line BTS skytrain is being extended. 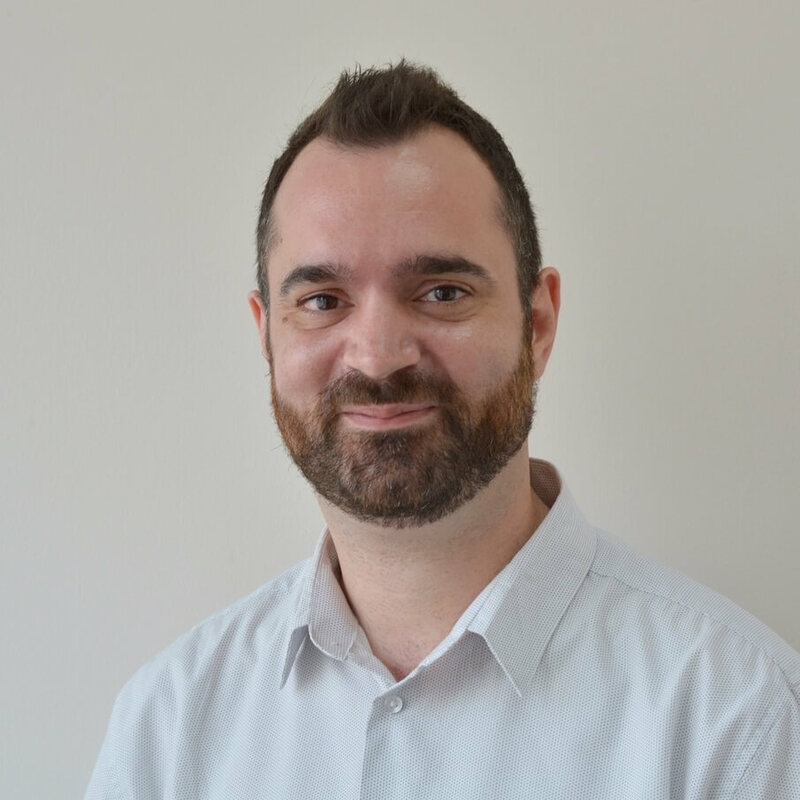 It offers investors the chance to get in early while the metro expansion is being developed and rent or sell at a higher rate after the extension is completed (expected in 2019). The nearest future BTS stop will be "Sena Nikhom", the extension is under construction now and expected to complete in 2019. 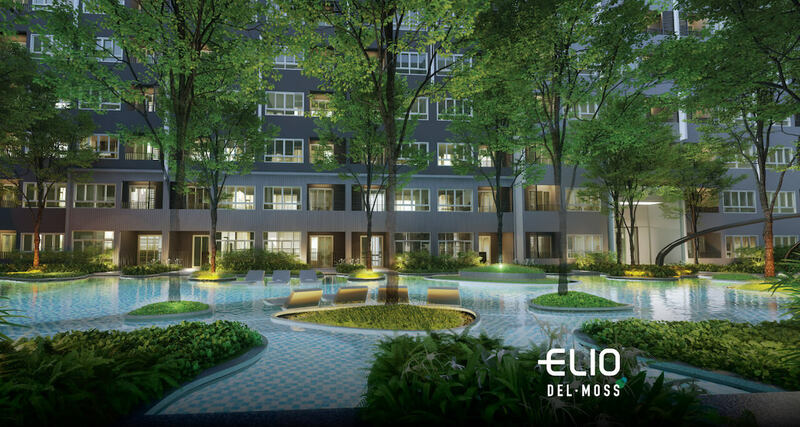 Elio Del Moss is located in Phaholyothin 34, nearby Lad Prao and the Chatuchak area where there is plenty of infrastructure such as Central Plaza shopping mall, the world famous JJ weekend market and it is very nearby Bangkok's Don Meung Airport. There is a vast expansion of rail and metro network in this already densely populated part of Bangkok. 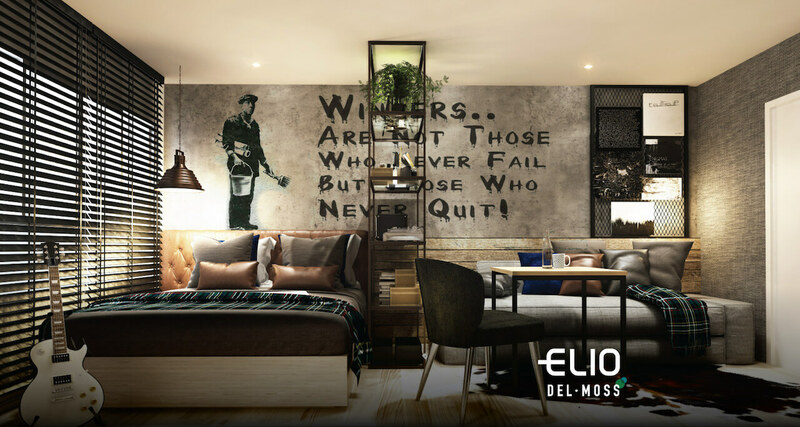 This area appeals mostly to Thai locals and Asian expats, while western expats tend to buy in places such as Sukhumvit Road, this project offers something uniquely different at a fantastic entry level rate. 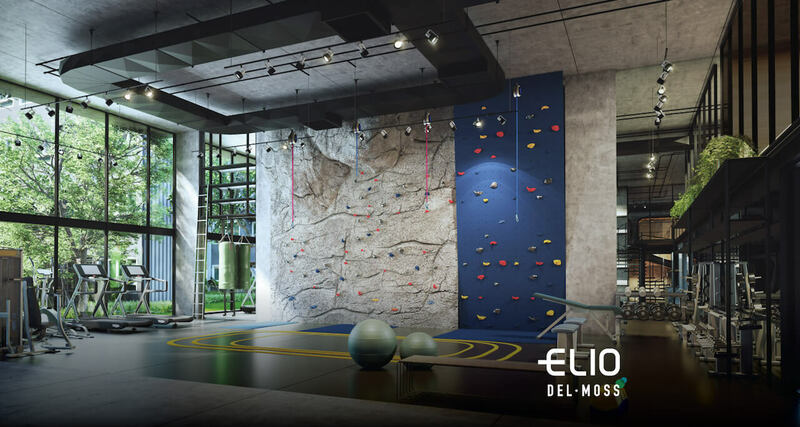 Elio Del Moss is a resort style low-rise residential project with fantastic amenities. 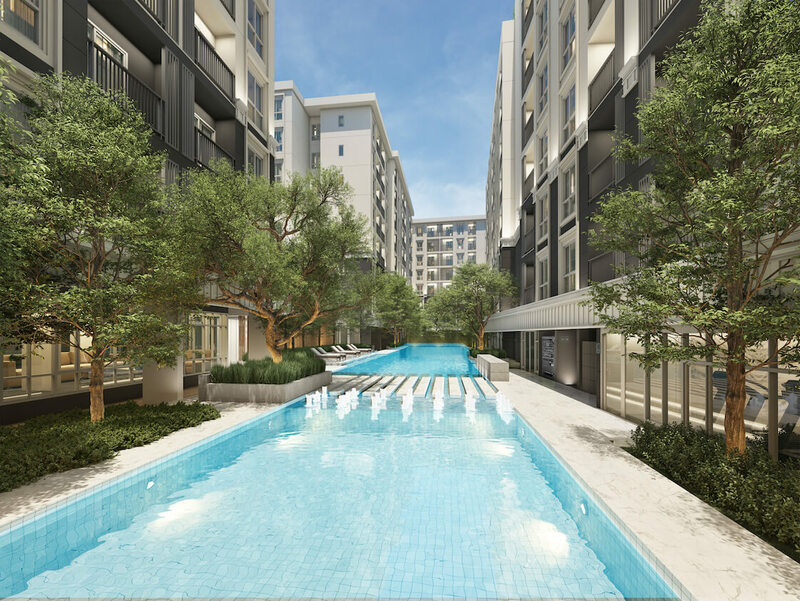 There are seven 8-storey residential buildings surrounding stunning gardens, water features and swimming pools. 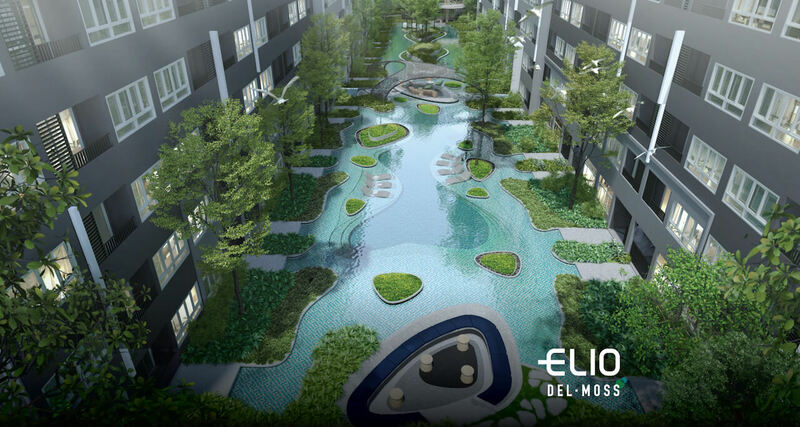 Condominiums on offer are: “Studio” (24m2), “1 Bedroom” (30m2 - 34m2) “1 Bedroom Plus” (43m2), 2 Bedroom (43m2). 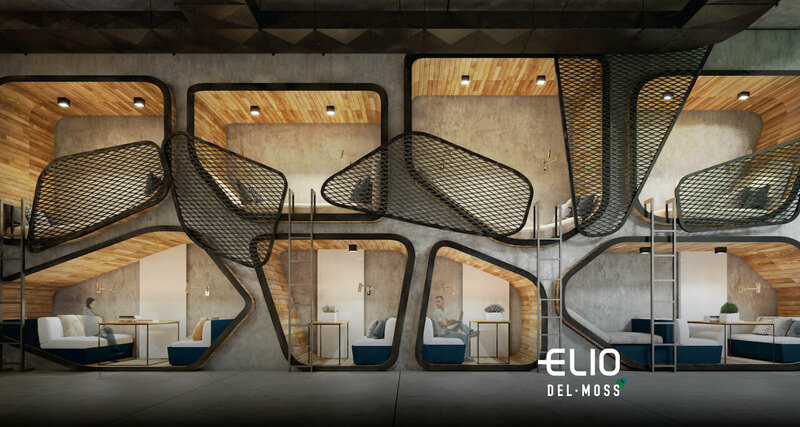 There are also unique “Duplex” (58m2) units which have 2 floors. 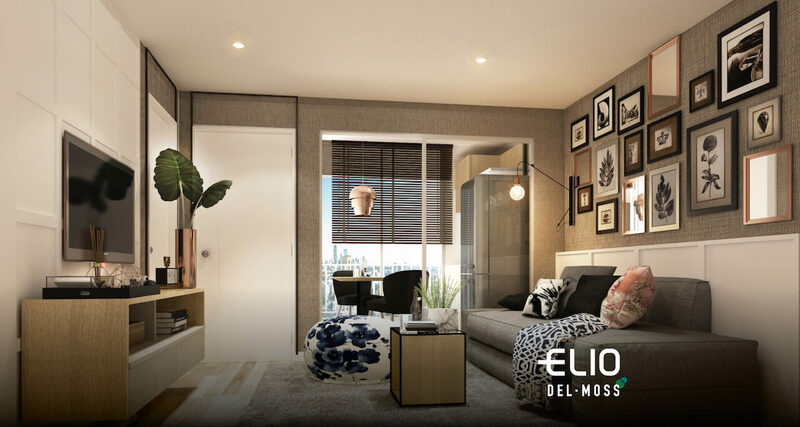 An added bonus is that the condominiums come with a complimentary furniture package!